They purchased the screen on Amazon with money from their monthly CARES budget for $180 (after the initial investment, you can use it over and over... for free). We all like that kind of math when it comes to putting on programs with a wide reach. Movies aren't the same without popcorn, so Phillip and Randi usually serve it from their leasing office, and as well as the cheap (and so amazingly good!) ice pops from the store. Most families bring their own blankets to spread out and chairs to sit in, which means minimal set up/tear down for the CARES Team. One other really cool part of this event (and The Brighton property in particular) is the community garden they have just started! If I could predict the future, I would say that lots of communities are going to be adding these. 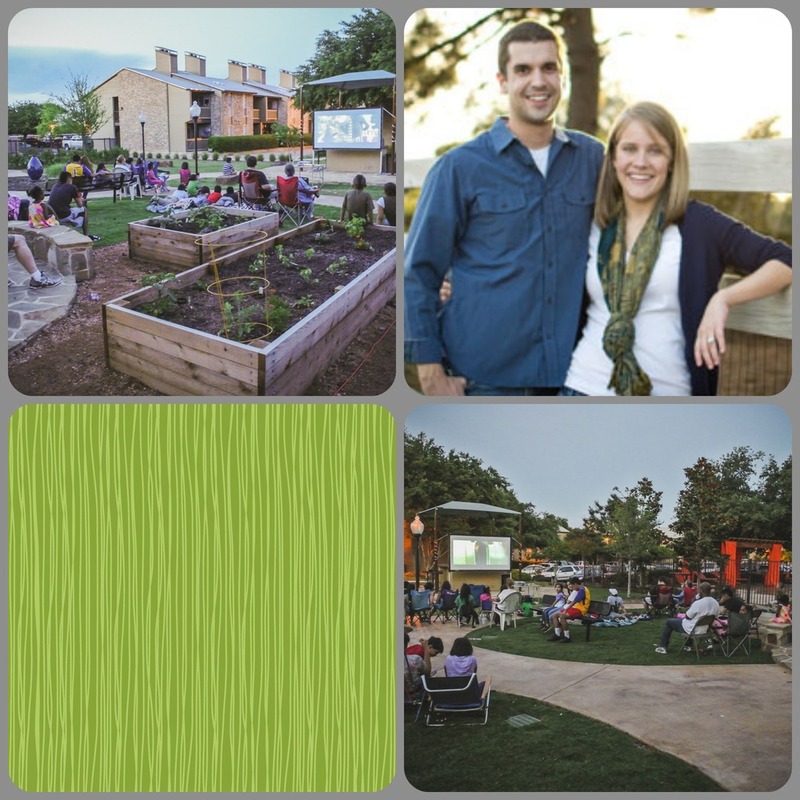 To bring awareness about the new community garden, they host the movie night there! Which piece of your community's property needs highlighting or promoting? Have a new dog park? Host it near there! New playground? Host it by the playground! A huge thanks to the Slaughters for sharing this event with us! Keep it up and thank you for your service as a CARES Team!